“One Friday evening after talking a bit, Eric and I found that our dads were about the same age, both loved to sail, and had raised families in Severna Park, MD. So we decided to get our parents together for a weekend afternoon on Blinding Fury. We had a great time, and our parents found they had crossed paths years ago through the sailing community. 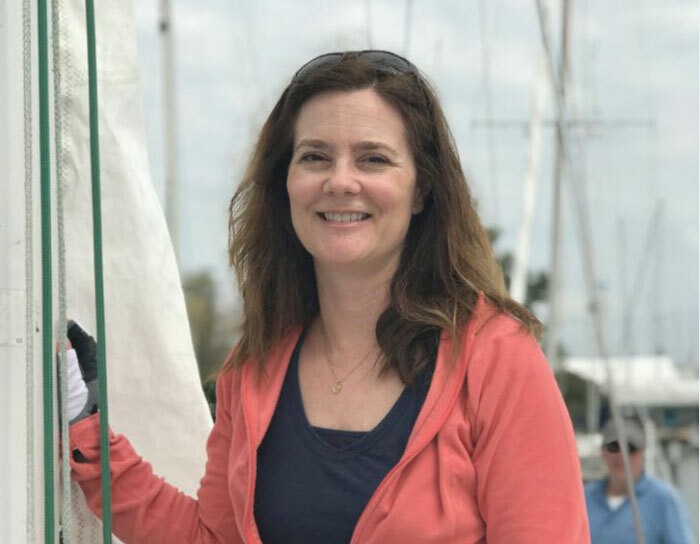 “Crewing this summer was the highlight of my year," says Ann, whose future sailing plans are to sail longer races and improve her physical strength and technical knowledge. To find out about the SpinSheet Crew Party click here.